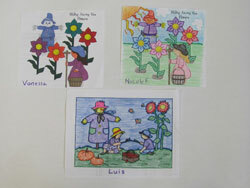 ACS Student Council recently sponsored a coloring contest. 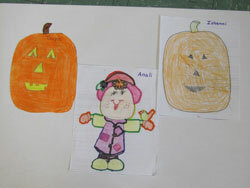 Students in each grade were given a different fall picture to complete using their coloring skills. All finished pictures were displayed on the auditorium wall. Bingo players were asked to pick out their favorite picture. 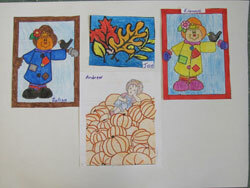 One winner was chosen from each grade with the exception of grade four. Two winners were chosen due to a tie. Winning students were called to the stage after prayers on Monday, November 1.They were each presented with a certificate from the representatives of the Student Council. Winning pictures will be on display in the auditorium until Thanksgiving. Congratulations to the following students: K -Ishaani , Gr.1- Tanya, Gr.2- Anali, Gr.3 – Jon, Gr.4-Julian & Elonnie, Gr.5-Andrew, Gr.6 -Luis, Gr.7-Vanessa, Gr.8-Nicole F.